A while ago I brought this book from Book Depository. there are a couple of projects I want to make from it. See isn't that a cute bag. I've never used them before. and some yellows (of course) to run in a strip along the bottom. Well that's the plan anyhow. playing with Annie..... you know. Life. But I can dream, and sometime I'll make the new bag. I recommend the Liberty book specifically for dreaming. The projects are pretty simple, but you know, a girl has to dream. I like this post, Deb - dreaming. Don't I have lots of those plans, too. 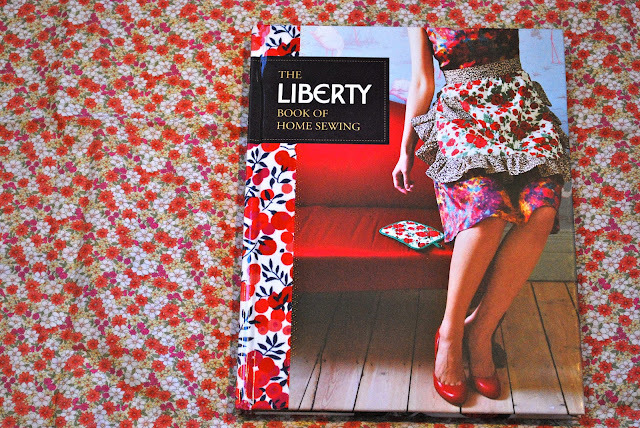 I might just have to get my hands on a copy of that book - I have a collection of Liberty fabrics that might be ready to have a job to do! Yeah a girl has to dream, you should see some of the cards I make at night when I'm busy in the restaurant lol! great colours :) great book, The book dep is such a great resource. happy creative spacing.